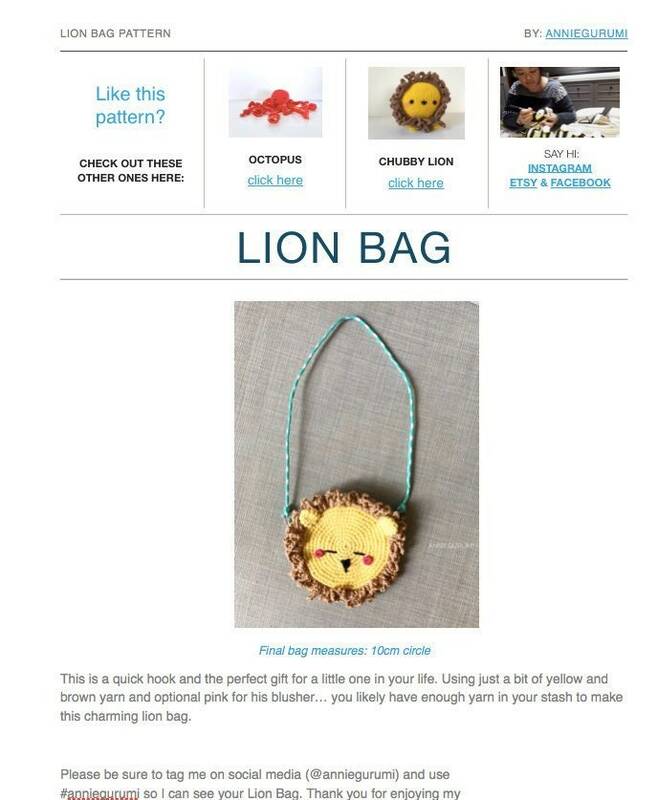 This is for my Crochet Lion Bag Digital Pattern (PDF). *instructions for crocheted strap included. Feel free to see the pattern on their blog before purchasing. Purchasing this pattern is because you want to support my small business. Thank you SO much!